ROAD TOWN, Tortola, VI - Residents of the Virgin Islands (VI) are urged to reflect on their true identity as the Territory prepares to observe the annual Culture Week. Ms Lennard said community and school-based activities are planned to stimulate and encourage the transmission of VI’s culture, and focus will also be placed on events and circumstances in history which made the Territory what it is today. 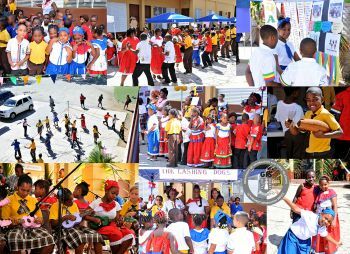 Cultural activities will be held at schools throughout the Territory and will focus primarily on highlighting VIs’ centenarians who have paved the way for the future generation of BVIslanders. A food fair will also be held on Friday, November 16, 2018 at the Central Administration Complex court yard beginning at 10:00AM until 4:00PM. Entertainment will be provided by Marcus Mark and Zion Sounds. Culture Week was first observed in October 1994 to highlight the importance of preserving the culture and history of the Territory and allow Virgin Islanders to pass on relevant information to the younger generations. The week’s celebration also creates an opportunity to link the various aspects of the Territory’s culture through selected themes. Residents are asked to wear their cultural attire on Friday, November 16, 2018, in observation of the week.